DUNCAN (Nov. 16, 2018) – Despite a severe, ongoing teacher shortage crisis, Duncan is finding ways to keep experienced educators. The school district is responding to pressures on the profession with concerted efforts to improve school climate, teamwork and respect for its educators – and surveys show it’s working. 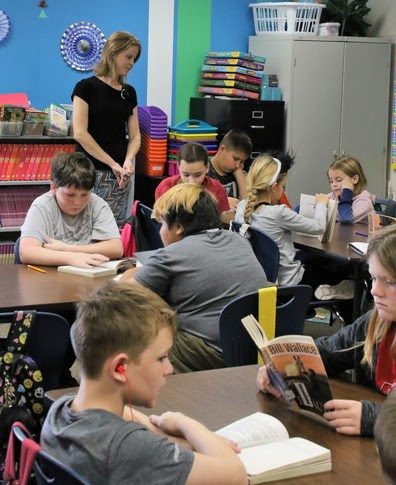 Duncan Public Schools’ teacher retention rate is 88 percent, outpacing the state average of 81.8 percent. When not counting retirees, the rate is higher – 94 percent. Last year, in a district-wide survey, 82 percent of teachers said they look forward to coming to work every day, a 15-point increase over the year before, and 95 percent said they enjoy working collaboratively with their teaching partners versus 58 percent in 2016. Duncan Superintendent Melonie Hau attributes the elevated teacher morale to the implementation of a continuous school improvement initiative that, in part, aims to improve school climate across the district. She said the transformation began four years ago when she instituted an open-door policy and cleared the way for the district’s approximately 200 teachers to share their concerns with district administrators. “You have to build that trust over time. People want to see that the district is working toward the goal of being open and transparent and valuing the hard work that teachers do every day, but they’re not going to believe it until they see it’s a consistent behavior,” said Hau, whose goal for district administrators is rapid responses to all teacher and parent emails. Elementary special education teachers in Duncan say they’ve seen a big difference in the way the district has built its Professional Learning Community (PLC). PLCs are systems of ongoing research and collaboration that result in professional learning. Duncan’s teachers meet regularly as teams to learn from each other and solve individual problems they are experiencing in their classrooms. Christina Smith, a special education teacher at Emerson Elementary, says she feels less isolated and appreciates the teamwork and support from her special education peers, who teach at different elementary schools. “I came from a district that didn’t have teams. We taught the same thing but were on our own. Definitely in those years that I’ve had that support, I’ve wanted to come to work more, to have those people to bounce ideas off of,” Smith said. Janice Hodges, special education teacher at Horace Mann Elementary, said her teaching team frequently texts each other to work out solutions they might be experiencing at their schools. “Teaching is hard. Every day is rough. If you felt like you were alone, didn’t know what to do and didn’t have anyone to ask, that would be awful. You wouldn’t make it,” Hodges said. Hau said the improved school climate helped the district respond to the stresses and uncertainty created by the teacher walkout last April, which brought thousands of Oklahoma educators to the Capitol to rally for education funding. “The way we handled the walkout was an incredible turnaround. I realized that we were more unified than we had been, and part of that was teachers felt like they could be heard,” Hau said. Many businesses and community organizations in Duncan contributed meals to teachers while they were advocating in Oklahoma City. Darian Hampton, a special education teacher who works at both Plato and Mark Twain elementary schools, said she felt the love from her community and believes Duncan still stands behind its teachers. “The whole town of Duncan was very supportive. Churches provided buses for us. We had a lot of businesses shut down and go to the Capitol with us. We had a lot of parents bring their kids,” Hampton said. The respect that teachers are feeling may be trickling down to students as well. In a survey sent to students in grades 6-12 in 2016-17, only 10 percent said their peers treat one another with respect. In 2017-18, that number jumped to 61 percent. Teachers also say parents have become more actively involved in their schools. In a survey to parents, 70 percent said they felt a connection with their children’s school in 2017-18. That is double the number of parents who responded the same way just one year before. The district’s goal is to achieve 80 percent positive responses by 2021. Robyn Miller, deputy superintendent for educator effectiveness and policy research for the Oklahoma State Department of Education, leads the Teacher Shortage Task Force for the state. Many of the task force’s recommendations are centered on retention efforts. Just as teachers strive to address individual student needs to help each grow and improve, teachers must be supported in their own professional growth and improvement, she said. “We know from our Oklahoma educators what they need: classroom resources, meaningful professional development and effectiveness feedback from their instructional leaders. Showing teachers trust and respect as they fulfill their commitment of increasing students’ access to a high quality education is a solid retention tool,” Miller said. Hodges said the district’s efforts to improve school climate reflect the hope inherent to the heart of a teacher. “We all have that hope that it’s going to turn around. That’s just part of being a teacher. It’s undying,” Hodges said. 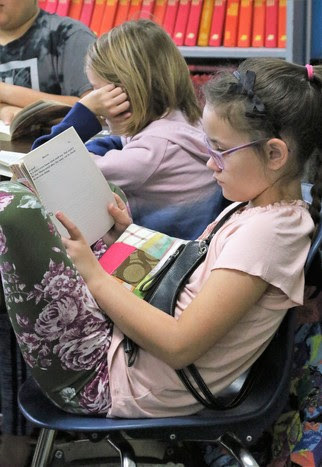 Oklahoma student enrollment increases by nearly 4,000.